‘Who is Colnett?’ So asks Jack Aubrey in Patrick O’Brian’s Far Side of the World. Who indeed. As an adventurous teenager, James Colnett had sailed with Cook in the Resolution. He later became a pioneer in the Pacific sea otter trade, nearly starting a war with Spain in the process. He attempted to force Japan and Korea to admit British trade, and failing that smuggled pelts into China. He conducted a whaling reconnaissance to the Galapagos Islands and transported convicts to New South Wales. One way or another, he managed to intersperse fighting his country’s enemies in the American and French wars with thirteen years plying the South Seas. 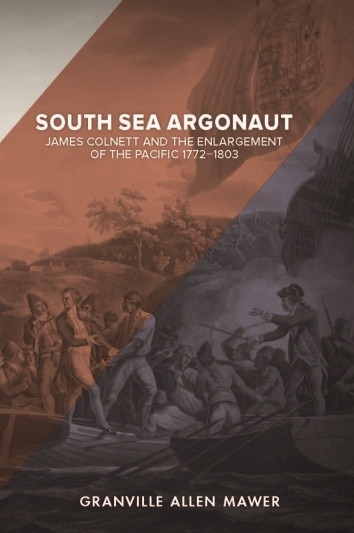 Seeing himself as a latter-day Argonaut, he reflected that his working life had been devoted to ‘enlarging the bounds of Navigation and Commerce’. The Pacific gave him ample scope.